Cascade Health Services named to Expertise.com’s Top 10 Staffing Agencies in Kansas City list. Expertise’s goal is to connect people with the best local experts. 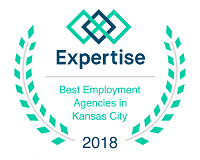 We scored employment agencies on more than 25 variables across five categories, and analysed the results to give you a hand-picked list of the best employment agencies in Kansas City, MO. Cascade has earned the Joint Commission’s Gold Seal of Approval. Inc. magazine releases an annual ranking of the 500 fastest-growing private companies in the country. In 2006, Kansas City based health staffing and home care provider, Cascade Health Services, ranked No. 353 on the list, with three-year growth of an impressive 392.5 percent. In 2007, Cascade Health Services, ranked No. 480 on the list. “If you want to find out which companies are going to change the world, look at the Inc. 500,” said Inc. Editor Jane Berentson. “These are the most innovative, dynamic, fast-growth companies in the nation, the ones coming up with solutions to some of our most intractable ills, creating systems that let us conduct business faster and easier, and manufacturing products we soon discover we can’t live without. The Inc. 500 list is Inc. magazine’s tribute to American business ingenuity and ambition.” . 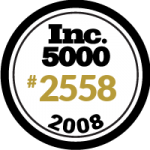 Inc. magazine releases an annual ranking of the 5000 fastest-growing private companies in the country. In 2008, Kansas City based health staffing and home care provider, Cascade Health Services, ranked No. 2558 on the list, with a three-year growth of 143 percent. Kansas City based Cascade Health Services was ranked #1 Healthcare Staffing Firm in 2017. Additionally, Cascade ranked #5 overall among all industries in the staffing services sector. Cascade CEO Jonna Weissenbach wins prestigious WWMB Award. Cascade Health Services was recently ranked as the 16th largest women-owned business in Kansas City. Cascade provides home care services and medical staffing services in Kansas and Missouri. The Keystone Recognition Awards, presented by the Clay County Economic Development Council, recognize businesses that have made a significant contribution to Clay County’s economy and quality of life. These awards recognize firms that have increased their commitment to Clay County through job creation, capital improvements, expansions, new equipment and/or technology. Cascade was recently honored as one of the top 100 small businesses in Kansas City. The program focuses on several factors relating to business. Financial growth, community involvement, charitable activities, employee enrichment and executive leadership are considered as the Chamber makes its selections. Cascade was the only healthcare staffing company included in the top 100. 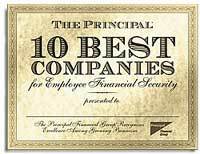 The Principal 10 Best Companies award is a nationwide program that recognizes growing companies that excel, particularly through employee benefits, at contributing to their employees’ financial futures and sense of financial security. The program celebrates businesses’ management, selection and commitment to employees and financial benefits. Cascade is incredibly honored to be nominated for such a prestigious award that includes some of the most well-known companies in the United States. Keeping employees happy and productive is fundamental to ensuring vigorous companies and organizations. Business people know the importance of making their workplaces havens for employees to chart and travel their career paths. The KCBJ Best Places to Work program honors companies that excel in creating positive work environments. Cascade was recently named 14th fastest growing company in the area. Rankings were based on 2004 to 2006 revenue growth. Cascade supplies healthcare staff and homecare staff to clients and facilities in Kansas and Missouri. Kansas City based Cascade Health Services was ranked #1 Healthcare Staffing Firm by total hours billed in fiscal year 2005. Additionally, Cascade ranked #5 overall among all industries in the staffing services sector.